Hey! I met Po, the popular panda character from Kungfu Panda 3. Apparently Po was searching for his village to celebrate the Lunar New Year. 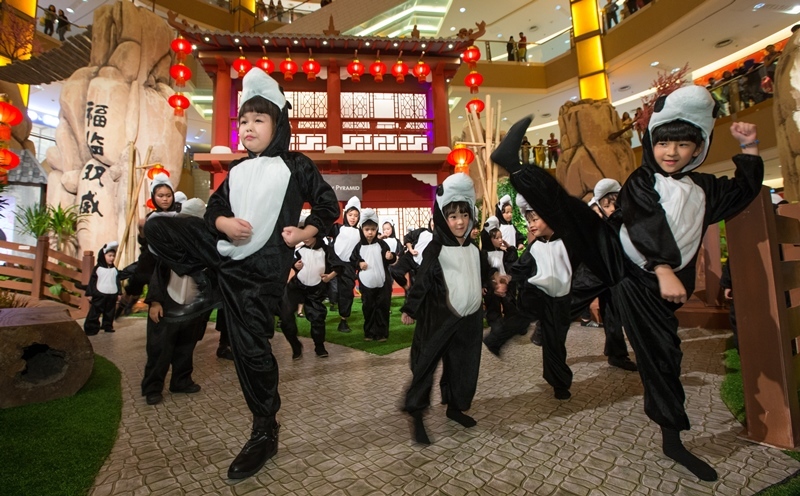 As it turns out, Po found the Panda Village @ Sunway Pyramid. 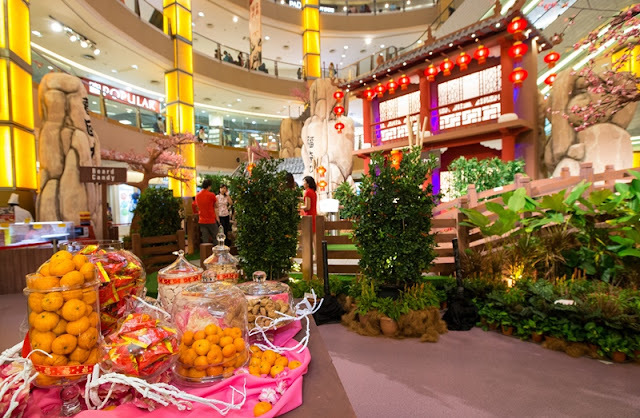 Similar like the movie Kungfu Panda, the mall’s BountiFU Spring Lunar New Year features the panda village nestled amidst the mountains, where a Chinese temple lies, surrounded by cherry blossom trees. During the BountiFU Spring Celebration Po was with 38 children dressed in panda costumes and a huge “lou sang” session at Panda Village. Other activities at the party include dough-doll making, fortune telling, calligraphy, lucky draw and more. Well, two weeks ago, Po was seen going around the Kuala Lumpur city centre, Petaling Jaya, Subang Jaya and Shah Alam since the final week of December 2015. He was caught strolling at KL Tower, Zoo Negara, KL Bird Park, SS2 night market and the Kota Kemuning park amongst many other places. 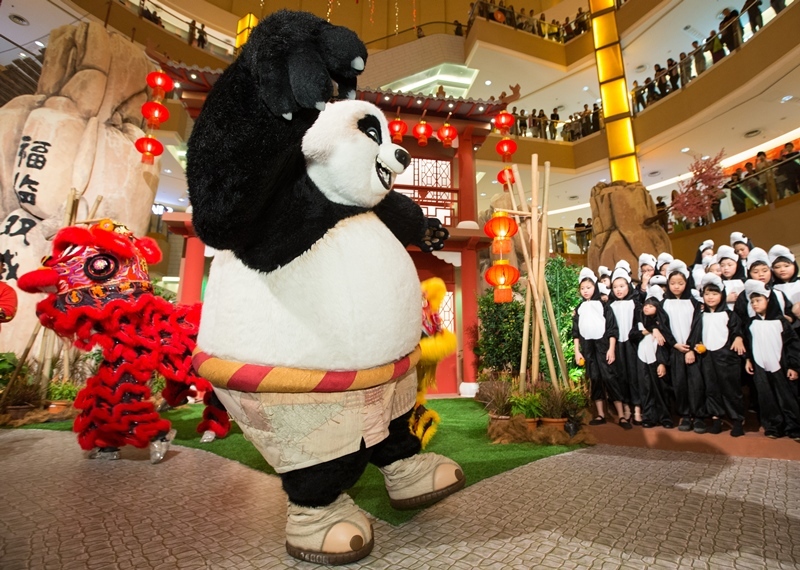 Now, the huge panda will be greeting you on weekends in Sunway Pyramid. You will also be delighted with a photo booth where they can take pictures with Po’s family, and print immediately as a souvenir. Those who love the traditional Beard Candy and Ting-Ting candy or are in need of new oriental outfits will be able to find them easily in the mall. Besides Po, you also can enjoy the Lion Dance performance every Sunday, as well as on both days of the Lunar New Year. 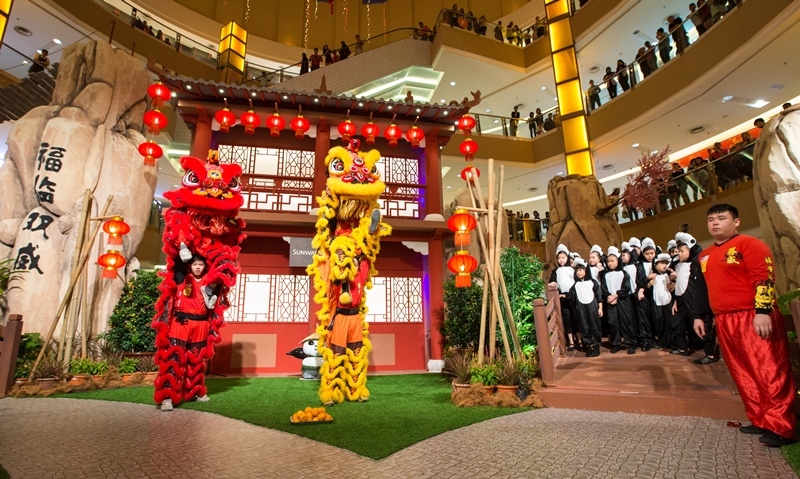 The second day of the New Year will feature an Acrobatic Lion Dance show at the Main Entrance to bless the mall. As 2016 is the year of the Fire Monkey, the mall will be rewarding shoppers with adorable monkey plush toys. With over 900 shops to wander, the mall is a perfect choice for festive shopping and dining. Sunway Pyramid has improved their free Buggy service to be available at selected larger car park levels. Those with heavy shopping bags, strollers and children may find the buggy a relief. I love it a lot la.. But missed my time to see the mascot.. awwww~ I was there few hours before the event started! That kiddy panda statue is so cute!